Our beginnings as a motor carrier to the air freight forwarding community, taught us that every shipment tendered to us needs to be treated as if our customers’ existence is on the line. As our forwarding services grew we added cartage and “last mile” distributor deliveries. These have become core business solutions we provide to some of the nation’s premier carriers, 3rd party supply chain companies, retailers and distributors. Our focus is to give you cost-effective logistics services allowing you to operate efficiently in the most challenging marketplaces in the USA. We have serviced the greater New York City and Southern Florida marketplaces over forty years. Sun has built its reputation as being the go-to carrier for transporting goods to and from some of the most difficult driving markets in the world. 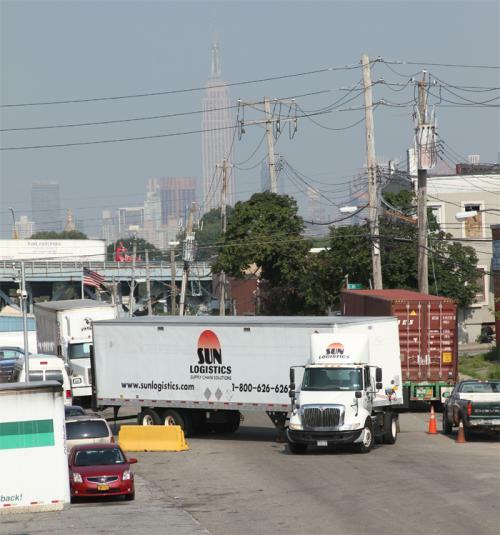 Whether it’s a timed, side walk, liftgate delivery on the corner of Broadway and 42nd Street in Manhattan, OR a residential delivery in Key West, Sun Logistics will deliver on-time and in-tact! It may make good business sense to consider Sun for pick-ups and deliveries in our niche markets, Manhattan, the Boroughs, Long Island and Southern Florida. The tougher the pickup or delivery the better for us and the more financially advantageous for you! We take the hassle out of the “last mile” and put the fun back into the “first mile”! Operationally we have serviced any type of product including retail, household, industrial, high value and hazardous materials. Sun’s transportation and logistics professionals stand ready to meet whatever need you have, so give us a call and find out more about our capabilities.